Since 1983, Triangle Land Conservancy has worked to save the places you love and the land we need to safeguard clean water, protect natural habitats, support local farms and food, and connect people with nature. 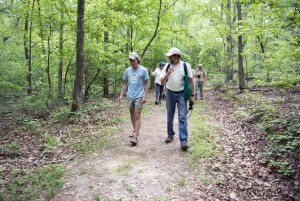 Hiking at White Pines Nature Preserve. We have permanently conserved over 18,000 acres of land in the Triangle. Many private landowners have worked with TLC to voluntarily conserve their properties. TLC also owns and manages conserved lands, including seven nature preserves which are open to the public for free every day of the year. We have created a strong community of people who cherish open spaces and have committed themselves to protecting these important natural resources for the benefit of our community now and in the future. Join our community by becoming a member today and gain access to special communications, events, and networking opportunities. We work to leverage resources and serve as a regional catalyst for conservation in the region. Through strategic planning, targeted initiatives, and partnerships, we determine which investments will provide the strongest conservation value in our community. In 2014, TLC developed a strategic plan for optimizing the organization’s role, effectiveness, and relevance. The plan also helped clarify the organization’s purpose which is reflected in our vision and mission statements. Discover what inspires our work. 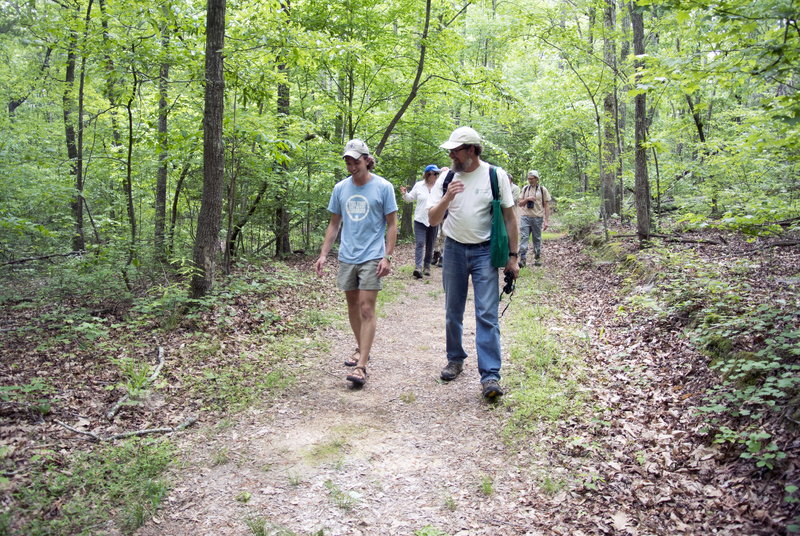 Triangle Land Conservancy’s legacy is rooted in the convictions and actions of a few community members who joined together in 1983 to protect a small piece of land. Their vision – to preserve vital natural habitats – has carried us forward for over thirty years. Uncover their story. Over 3,000 people living, working, and playing in the Triangle support land conservation as members of Triangle Land Conservancy. Become a member now. TLC’s Board of Directors sets the course for our work and mission. Our volunteer board members work together to adopt sound, ethical, and legal governance and financial management policies that will advance TLC’s effectiveness and long-term sustainability. Meet our board members. The TLC Staff is a diverse group of professionals all committed to advancing land conservation in the Triangle. Meet our staff (link to Staff page) or explore job opportunities with TLC. Every year, TLC develops an annual report to summarize the accomplishments your support made possible. Learn what steps we are taking every year towards a healthier, more vibrant Triangle by reading the reports. TLC is an accredited land trust. The accreditation seal is a mark of distinction in land conservation. It is awarded to land trusts meeting the highest national standards for excellence and conservation permanence. Each accredited land trust completes a rigorous review process and joins a network of organizations united by strong ethical practices. This trusted network of land trusts has demonstrated fiscal accountability, strong organizational leadership, sound transactions, and lasting stewardship of the lands they conserve. The seal is awarded by the Land Trust Accreditation Commission, an independent program of the Land Trust Alliance. The volunteers who serve on the Commission represent a diverse group of land conservation and nonprofit management experts from around the country. For more information please visit landtrustaccreditation.org or click the seal below.